Aim of the project is to improve the quality of the public services of the LOAM and Kuldiga in field of cultural heritage preservation by strengthening the capacity of the personnel and encouraging the cross-border cooperation between two institutions in LT and LV. Project is tackling such common problems as rapidly deteriorating condition of wooden architectural heritage; lack of the understanding of the unique value of the wooden heritage; lack of the knowledge for preservation of the wooden housing. LV and LT have experienced interrupted process of the maintenance of historical buildings that resulted from lack of the private property from Soviet time ideology. Therefore one generation has risen up without knowledge about management of old houses and residents have lost their practical skills. To solve the problems there will be implemented such activities as renewal of the restoration workshop at LOAM; arrangement of the new restoration centre premises in Kuldiga; improvement of the qualification of the restoration specialists by organisation of the international seminars; establishment of the methodological work; development of the new contemporary instruments for the public services. Study visit to Great Britain enable to introduce with high quality public services from the countries with common knowledge about preservation of historical houses through centuries. 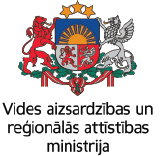 As a result of the project, there will be improved efficiency of the public services in field of cultural heritage preservation that will ensure preservation of the wooden architecture in cross border countries that is considered as unique resources for the economy of Lithuania and Latvia. Address: J. Aisčio g. 2, LT-56335 Rumšiškės, Kaišiadorių r.
On the eve of the centenary of the independence of Latvia, on November 16 Ilze Zarina, head of the Restoration Center, and Inga Bērziņa, Chairwoman of Kuldigas County Council, officially opened the door of the Kuldiga Restoration Center (Kuldiga Restoration Center). 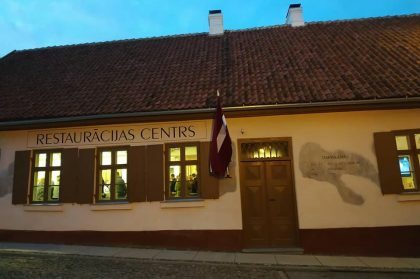 In 2018 – 2019 y. Lithuanian Open Air Museum, in cooperation with the Restoration Center of the Kuldiga District (Latvia), implements the project funded by the Interreg VA Latvia – Lithuania Program 2014-2020, “DEVELOPMENT OF PUBLIC SERVICES FOR CULTURAL HERITAGE PRESERVATION” , whose aim is to promote public interest and participation in cultural heritage preservation activities.